A DataSheet is a single-page educator-friendly description of a dataset. It provides the key pieces of information educators need to understand how a dataset relates to their curriculum and to start working with the data. DataSheets are also ideal locations from which to provide links to related research and educational materials such as existing classroom activities that use the data. The DataSheet format provides a consistent framework for organizing this information. The particular fields and their presentation reflects the insights derived from a number of discussions within the geoscience education community about educational use of data. Exploring 'x' in the classroom using 'y' data (where x is a topic and y is the source or type of data). Example: Exploring Population Dynamics in the Classroom using National Marine Mammal Laboratory Data. a. 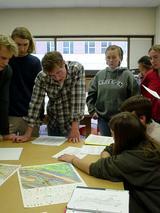 Example: Exploring USGS streamflow data in the classroom. This webpage was created for SERC by Heather Rissler in consultation with Bryan Dias of the Reef Environmental Education Foundation. The site provides processed data in graphical form illustrating salinity, temperature, fluorescence, and density for a transect station in the Gulf of Mexico near Sarasota Springs, FL. The Mote Marine Laboratory Phytoplankton Ecology Program focuses on microscopic plants in the oceans, many of which produce harmful toxins. The program has a particular focus on the marine dinoflagellate Karenia brevis responsible for the Florida red tide. Eating red tide infected shellfish can be fatal to humans. Red tides are controlled by a variety of factors including nutrient availability and viral infections (see Review). Scientists use data generated from the Phytoplankton Ecology Program to better understand conditions under which red tide blooms develop. Raw data is processed and represented as images in GIF format. Images (separate for each measured parameter) are archived for the years 1998 to 2004. Data is provided as link to dates for CTD measurements. By choosing a specific date, users gain access to GIF files containing processed data in the form of maps that illustrate transect and vertical profile data. One way that students can process this data is to create graphs from raw data (provided in HTML tabular format and tab delineated text files) using a spreadsheet application such as Excel. Graphs could be used to visualize streamflow temporally and spatially and to display the relationship between gage height and streamflow. This data set could be combined with precipitation data sets to create graphical representations of streamflow-precipitation relationships. The USGS site does not provide tools for data manipulation. Raw data can be downloaded and imported into a spreadsheet application such as Excel for further processing. The Starting Point site provides a tutorial for using Excel. Surf your Watershed: An example from Integrating Research and Education that guides users through the EPA's Surf your Watershed tool, which incorporates data from multiple sites, including USGS streamflow data. List and define acronyms, initials, or discipline-specific jargon users will encounter. Collection methods have varied historically. The U.S. Geological Survey uses stream-gaging systems to measure water height, with data being transmitted to stations via telephone or satellite. Manual methods for directly measuring or inferring streamflow (discharge) data from gage height have been replaced by Acoustic Doppler current profilers that use sound waves to measure velocity, depth, and path (which are used to calculate streamflow rates). Limits to this data vary historically as current methods for directly measuring discharge offer an alternative to inference of this parameter. The article 'Stream Flow Measurement and Data Dissemination Improve' discusses issues related to streamflow data quality. A bibliography (link) is available highlighting publications from the Broadband Seismic Data Collection Center. 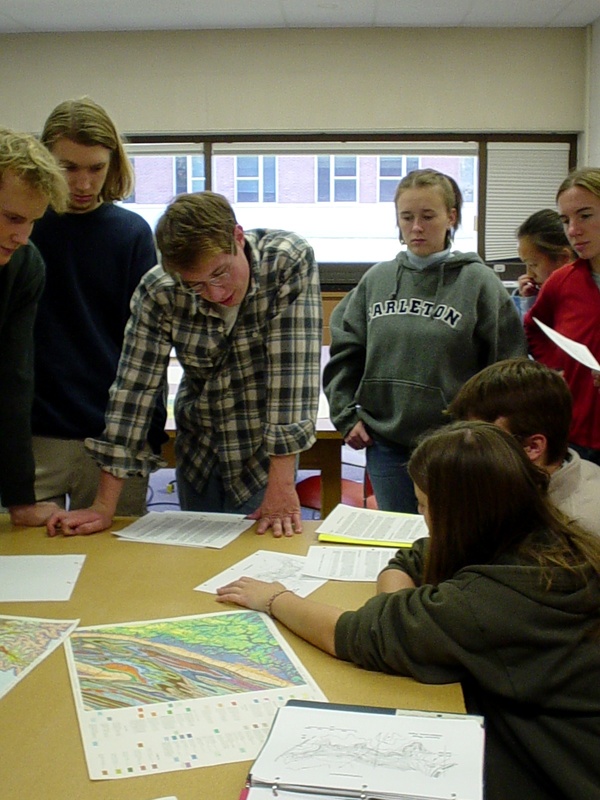 Education and Outreach Based on Data from the Anza Seismic Network in Southern California is an article from Seismological Research Letters that describes collaborations amongst scientists and the community to provide earthquake education for the public and local school communities. Earthquake prediction: A seismic shift in thinking is a article from Nature that discusses the debate regarding accuracy in predicting earthquakes. Mantle Convection and Plate Tectonics: Toward an Integrated Physical and Chemical Theory is an article from Science that reviews the physics of plate tectonics. The Broadband Seismic Data Collection Center maintains an education section with activities of relevance to students and teachers. The Earth Exploration Toolbook has a chapter on Investigating Earthquakes: GIS Mapping and Analysis that uses USGS and IRIS data to conduct GIS analyses. Users interpret earthquake distribution and activity and analyze the potential for predicting future earthquakes. The Seismological Society of America website contains information on earthquakes and a collection of issues related to teaching about earthquakes. The USGS Earthquakes Hazard Program provides earthquake data and educational activities. An earthquake preparedness fact sheet is available from FEMA. Developing public understanding of complex scientific phenomena requires that scientific data be connected with pedagogy and materials that support learning about and with data. The wealth of data that is currently available allows faculty new opportunities to engage students in the practice of science in the classroom. However there are major barriers to realizing these opportunities. Sites with rich primary scientific data are usually organized for use by an audience of professional scientists: often experts within a particular sub-discipline. These sites assume a deep expert knowledge on the part of their users. Educators (and scientists working with data outside their field of expertise) often lack the tacit contexual information and specific technical insights that allow the expert users to work meaningfully with the data. The data is often presented without any explicit connection draw to the larger scientific framework in which it is relevant as this information is obvious sub-text for the expert users. Effective use of the data is often dependant on technical details and idiosyncrasies familiar to the expert community but not clearly documented in a manner transparent to other educators and scientists. Data site allows users to easily find and use appropriate data of interest. Data site allows users to ascertain the quality of data and determine the impact of data quality of the certainty of their conclusions. Data is provided in ways that facilitate manipulation through a variety of tools. Data site supports, through these tools, data manipulation to answer questions by using data contained within the site or combined with data from other sites, generating appropriate visualizations, or comparing student's own data to that in the site. More detailed information on each criteria can be found at the Data Site Criteria for Education section of the Using Data Portal. Since reworking all data sites to align with these guidelines is impractical, and because most of the recommendation speak to the need for additional contexual information the DataSheet format was created. It represents a formal structure for presenting the minimal set of additional contextual information that educators might need to understand a particular data site. By using a consistent format a broad collection of DataSheets can be created which is easily mined by educators for datasets that align with their curricular goals. Who Can Use Data Sheets? Educators can use DataSheets to discover new data sets they might use with their students, gain guidance on effective use of data sites they may have discovered through other routes, and find existing activities and resources related to a particular type of data. DataSheets may be a useful tool for advanced students doing independant exploration of data or who want deeper background and access to the authentic science behind what they are learning in the classroom. The larger collection of DataSheets also provide a uniquely accessible window into the scope of current scientific work in some areas. DataSheets are a natural starting point for scientists beginning work in an area outside their field of specialization. And of course for scientists involved in data-producing projects the creation of a DataSheet is a relatively simple step toward making their work more accessible to a larger audience. DataSheets provide any curious individual with a low-barrier starting point for understanding the relevance of ongoing science projects and an opportunity to start to explore the real numbers behind the science. If you are an educator with experience using a particular data set or are involved in a project with a data rich website and would like to be involved in the creation of a DataSheet please get in touch.